Thanks to everyone for supporting RescueCats! To get the most recent updates, click on the Photo Gallery tab at the top of this page. RescueCats turns 20 in June and the celebration starts now!!! 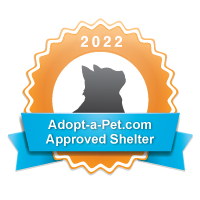 In celebration of the 20th Anniversary all adoption fees are $20.00 off. In addition to that...Any cat that has been with RescueCats for more than six months will be an additional $20.00 off the adoption fee!! Check out our adorable KITTIES in the online photo gallery. RescueCats has dozens of kittens and cats to choose from! Please enjoy your visit! Adoption Fairs held at the Morrow PETSMART each Saturday from 11:00am - 4:00pm - featuring 15-20 adoptable cats. Please look at this furniture for sale - 100% of the proceeds go to help the kitties at RescueCats! We all mourn the loss of Addie, she passed away on October 15th 2018.
any kitten needing bottle feeding or extra attention. that she has loved and cared for over the years. Many THANKS to everyone who helped out at the Cat Show in Griffin!! RescueCats is celebrating nearly 20 years of saving cats and dogs! We rescue from several animal control facilities and we need sponsors! Go to smile.amazon.com/ch/31-1738234 and Amazon donates to Rescuecats, Inc..
An organization’s enrolled members and supporters DO have to re-enroll every August. They will not have to set up a new Kroger.com account only link their card again to the organization of their choosing. We are currently looking for a pet food company to partner with.